Manufacturing companies in practically every industry rely daily on suppliers to provide high quality components used in the assembly of their products. In some cases the majority of their quality issues come from pass-through or supplied parts. When a component part or sub-assembly is produced by a secondary or outside supplier some control over the quality is lost. Organizations must therefore be vigilant in managing and developing a strong supplier base. Well planned and executed 2nd party or supplier auditing systems are very effective for evaluating possible future suppliers and controlling the quality of current supplier parts and assemblies. Non-compliant supplier parts or late shipments could result in reduced efficiency or loss of production, late customer deliveries and possible product quality issues or recalls. Non-compliant supplier parts can have a profound effect on an organizations bottom line. Proper supplier selection and management, including a thorough evaluation of their process capability and capacity is essential if an organization is going to succeed and grow. Implementing a well-planned comprehensive second party audit system can help avoid quality or supply issues resulting in a positive impact on the bottom line. Second Party Audits are also referred to as external or supplier audits. The 2nd party audit is usually more formal than an internal or 1st party audit. In some instances, the results of the audit could influence future purchasing decisions. The audits may also be in response to one or more quality issues with the supplier’s parts or assemblies. There often is a contract involved between the customer and supplier specifying the terms of delivery, pricing, packaging, quality requirements and various additional terms. For this reason, second party audits are generally subject to rules and regulations concerning contract law. The 2nd party audit is a valuable tool for strengthening a company’s supply chain through verification that all current and future suppliers meet or exceed pre-determined requirements. One of the primary objectives of a rigorous supplier audit system is to prevent any quality issues from reaching your customer. In addition, the audit can be used to assure the supplier can deliver the quantities of parts to meet demand. A well planned 2nd party or supplier audit system helps assure that quality parts are received on time and every time. Not long ago it was revealed that even “benchmark” companies can experience a supplier quality issue. The benefits of 2nd party audits as part of an effective supplier management system far outweigh the possible costs involved with product recalls, field campaigns, and loss of brand equity. Develop an audit plan prior to the visit. A good plan keeps the auditor or auditing team focused on the objectives, saves time and produces superior results. Plan for who will attend the audit. If a team is going, select a lead auditor to delegate the various assignments, process, documentation and areas to be audited. It is a good practice to develop a checklist of items to be covered and tasks to be completed. Take time to review available information regarding the organization to be audited. Get some background information. Audits involving current suppliers may include a review of available product or process documentation on file. For any reported non-conformances determine what corrective actions were taken and verify that the problem is not still occurring. The more knowledgeable and prepared the auditor or audit team is the more productive the audit will be. While it is not possible to cover all situations in this brief paper the following are some guidelines and tips for performing an effective 2nd party audit. The first step to performing a highly successful audit is proper communication. The communication should be open and honest between the auditor and the auditee. Holding a brief opening meeting with appropriate members of the organization is an effective action for yielding good communication. Make sure everyone is familiar with the process, what is going to occur during the audit and field any relevant questions. During the performance of the audit follow your checklist. Be sure to cover all the areas that were planned ahead of time. Be thorough, ask questions and write down all your findings. When reviewing a process ask open ended questions and let the auditee explain the process to you to determine their knowledge level of the process. Review the process documents on the line: are they legible, readily available to the operators and if you are auditing a multi-lingual organization, are the documents written in the appropriate languages? In addition, review the process control documents and ask “what if” questions to determine how well the process is actually being controlled. It is also good practice to observe the flow of raw materials and product through the facility. Examine the storage areas: are they neat and orderly, is product easy to locate? Determine how well non-conforming raw material or product is being managed, including how it is identified and where it is stored. Determine if there is a clearly marked hold area for any non-conforming product. For example, during one 2nd party audit it was discovered that non-conforming material was being stored right next to the receiving dock in the same area as incoming compliant material. The only means of identification was a small hold tag thrown in the large container. This could possibly lead to the use of non-conforming material in the manufacturing process. During the audit observe the cleanliness and orderliness of the facility. Determine if there is any type of 5S process in place and if it is being followed. Make observations and ask questions and take plenty of notes. Document any evidence of non-conformity uncovered during the audit and always inform the auditee of your findings. Share what will be reported and assure them that the intent of the audit is to improve the process. If evaluating a new supplier you may inquire as to their capacity and ability to meet future demands. When you are finished in an area always thank anyone you interacted with for their time. The report is an organized compilation of the audit findings and observations. The auditor or lead auditor should lead the meeting and share the audit report. When audit teams are involved each member should speak to any findings or observations from the area they covered. Sufficient time should be allotted for the auditee to ask questions. The auditor should clarify any areas of disagreement. The auditor should then deliver a brief outline of the findings and observations including a review of recommended actions to address any non-conformances discovered during the audit. In addition, always review any possible opportunities for improving the process. Recommended actions to address and correct nonconformities are very common. The auditor and auditee should then discuss and agree upon an appropriate timeline for completion of any corrective actions or improvements identified during the audit. Appropriate action must be taken to eliminate any causes to prevent re-occurrence. Corrective action is about eliminating the causes of problems and not just following a series of problem-solving steps. Preventive action is action taken to eliminate any potential causes of a non-conformity or deficiency to prevent occurrence. A follow-up audit is often discussed and scheduled based on the timeline. The audit is considered complete once all planned activities have been finalized. Companies worldwide are continuously looking for ways to reduce cost and improve quality. Vast numbers of manufacturers who historically relied on domestic materials procurement are currently re-examining their supply systems and looking overseas to expand their range of potential suppliers. Suppliers must maintain long-term quality and on time delivery of critical parts. Therefore, a robust system must be established to develop, qualify and monitor the supply base. The 2nd party audit is a valuable tool for supplier management, sourcing high quality new parts and assemblies and building a robust supplier base. Implementing and maintaining an effective 2nd party auditing process is no small task and requires highly skilled experienced auditors and a strong auditing plan to be successful. At Quality-One, we can provide the guidance and support needed to develop an effective robust 2nd party auditing process for your organization. A well planned and effective 2nd party audit system is vital for developing and managing a strong supplier base. Development and implementation of a robust 2nd party audit system requires a substantial investment of time, talent and resources. There are times you will need additional resources, and need them right now. Unfortunately, it takes time to hire the right personnel. What you need are SMEs with the technical expertise, specific to your industry, ready to jump in and hit the ground running. 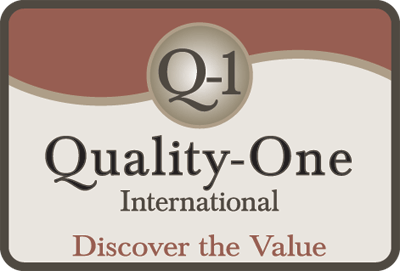 Quality-One is renowned as an industry leader in providing contract services for short or long term projects. Second Party Audit Support from Quality-One provides the help you need, enabling your team to accomplish quality initiatives and goals on time.